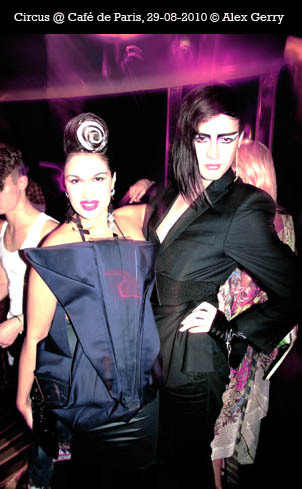 If ever the label “breath of fresh air” was to be applied to one club kid, it would be to Bishi. I think the fact that she always looks not only sensational but very happy might have something to do with it. The very traits that have made her the scene’s wild child of choice since the ’90s. 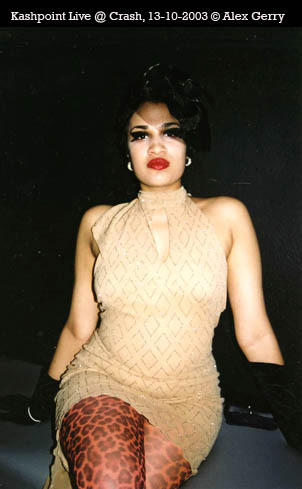 A Londoner of Bengali descent, she was only 13 when she got introduced to Matthew Glamorre by Patrick Wolf who she’d just met and befriended through an ad she placed for swapping records in the now long-defunct Select Magazine. Patrick himself had only met Matthew by sending him a fan letter when he was in Minty, the band that also featured Leigh Bowery not long before his untimely death. 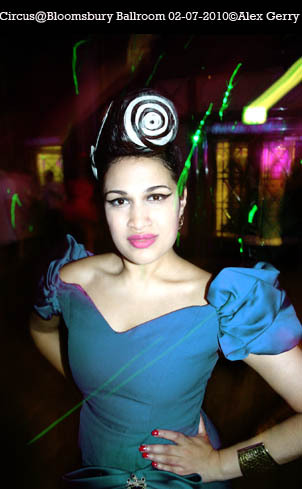 Bishi went to Dingwalls in Camden one evening for one of the band’s gigs and had to be smuggled in being so underage. I happened to in attendance that night myself and Patrick was performing with Minty, playing the theremin. In a nutshell, these random encounters proved to be a lucky stroke for all involved, especially for a girl so young but already talented as a singer and classically trained as a pianist. Such things didn’t happen often in those precarious pre-social media days. 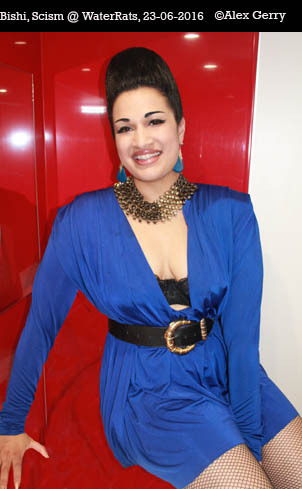 It was at The Siren Suite in Islington that Bishi started making her mark. That was Glamorre’s club where they played classical music and she sang and played the sitar. That led to the pair supporting Goldfrapp on their UK tour, which included three major shows in London. They also supported Pulp, who were then riding the Britpop wave. 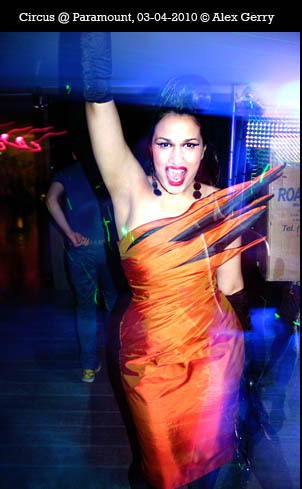 In the early days, Bishi regularly travelled to India to experiment with her vocals and sitar playing. She also attended Central St Martins in Art and Design. She learned playing piano at the age of 5 and all those skills came together when she started recording, which happened during the Siren Suite period. She already has a solid music career under her belt and her credentials are so far-reaching that it’d be almost impossible to list them all. Suffice it to say that she collaborated with The London Symphony Orchestra, The English National Opera, The Whitechapel Gallery and The Royal Festival Hall’s Meltdown. She appeared on the BBC’s Culture Show, The Jonathan Ross Show and The South Bank Show. To date, she’s already released a couple of albums and a string of singles, including the haunting Albion Voice. 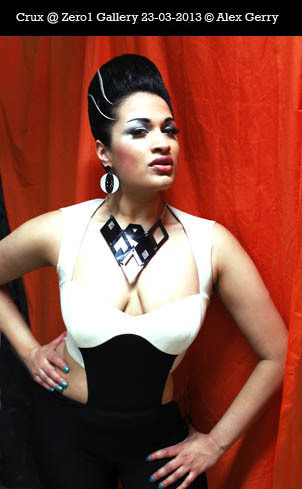 Bishi was recently appointed artist in residence at NYC’s National Sawdust. This program provides artists of excellence from various backgrounds with technical, marketing and financial support through recordings, rehearsals and shows. She’ll be premiering The Good Immigrant, a song cycle for voice looper, sitar and electronics, at the Ferus festival. Scroll down and click if images don’t automatically roll out to the bottom of the page. Click on any image to enlarge. All text and images appearing on this website are protected under international copyright laws.